InfoComm International has signed an agreement with Downey Unified School District in Southern California to offer foundational AV coursework. Downey’s high school students will have access to InfoComm's online course Essentials of AV Technology and the Recognized AV Technologist Certificate Program (RAVT) exam. Students will also have access to the Certified Technology Specialist online prep course. Downey Unified School District, located 12 miles south of Los Angeles, serves about 22,500 students in grades K-12 and has an extensive adult education program. The district was recently named an “Exemplar District” by P21 Partnership for 21st Century Learning, a recognition for schools that are preparing students for college, career, and life by embedding critical 21st-century competencies into the learning environment. "After attending the InfoComm show in Las Vegas in June 2016 and learning about all the exciting career opportunities for our students in the audiovisual industry, we were eager to connect and partner with InfoComm," said June Bayha, CEO of Bayha Group, an educational partner for Downey Unified School District. "We hope that students will learn about the audiovisual industry in general, as well as develop skills and competencies that are in high demand by local employers. Ultimately, we want to create courses that are pathways leading to high-wage, high-skill careers for all of our students." 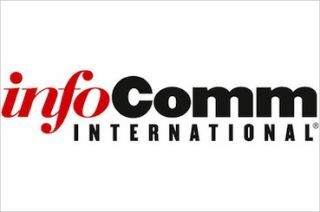 "Developing tomorrow's AV workforce is a key focus for InfoComm and its foundation, the International Communications Industry Foundation (ICIF),” said Betsy Jaffe, executive director, ICIF, and senior vice president of member services, InfoComm International. “We're mindful that California represents some of the largest AV markets in North America and the AV industry needs more professionals who can become the next generation of AV innovators. We're thrilled about the partnerships we've made with educational organizations around the world to expand AV education. Young people are engaged with technology very early in life and now, with programs like this, they can envision a career focused in an exciting field." In 2016, InfoComm has built partnerships with Columbia College in Chicago, Valencia College in Orlando, Bogotá public schools in Colombia, and other learning institutions to bring AV education into the classroom. For more information on the association's workforce development, visit infocomm.org/icif.